Brookes Believers hasn't added a story. Sober living is often an overlooked and under recognized but extremely valuable to ongoing sobriety. In fact, the Johns Hopkins University School of Medicine study states "among those who stayed in recovery housing for more than 60 days, more than 50 percent were drug-free at six months"
Stop the Heroin is a 501c3 organization ran completely by volunteers. 100% of donations go toward our mission of helping people into sober living. We take care of the deposit, administrative fee, and first two weeks. This can be anywhere from $600 to $900, depending on the facility. Since April 2016, we have helped over 150 people into sober living. Most continue to thrive in their sobriety. Brookes Believers hasn't posted any updates yet. 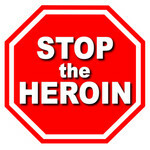 Stop the Heroin is managing the funds for this campaign.